We know only that this 23″ CtoC (23.5″C/T) frame was marketed through Priory Cycles. 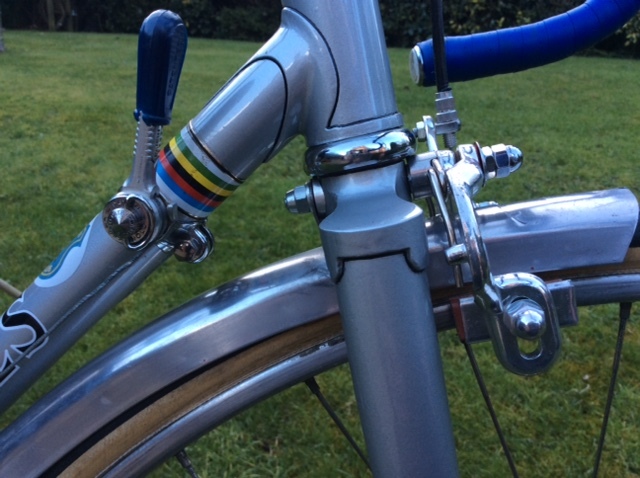 It is a road bike with a relaxed seat tube angle and a steeper head angle. It is a quality build in which Major used the Prugnat longpoint lugset he favoured for his Italia model and a semi-sloping forkcrown pattern again favoured with the full sloping crowns on the Italia. This has an unidentified pattern. 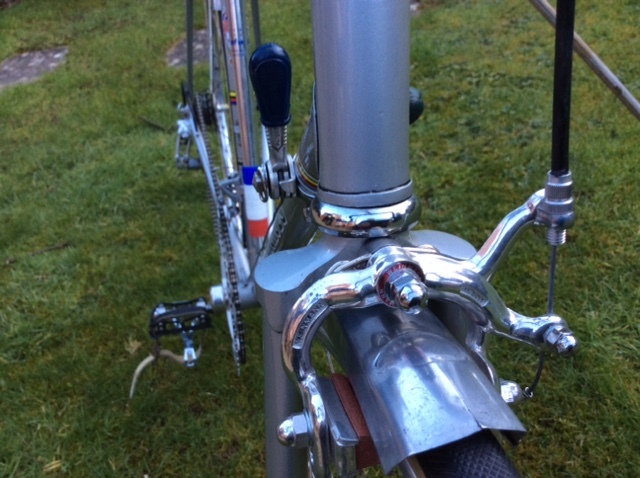 The frame has mudguard eyes and cable guide and stops for front and rear derailleur to be served by band on or bar end levers. 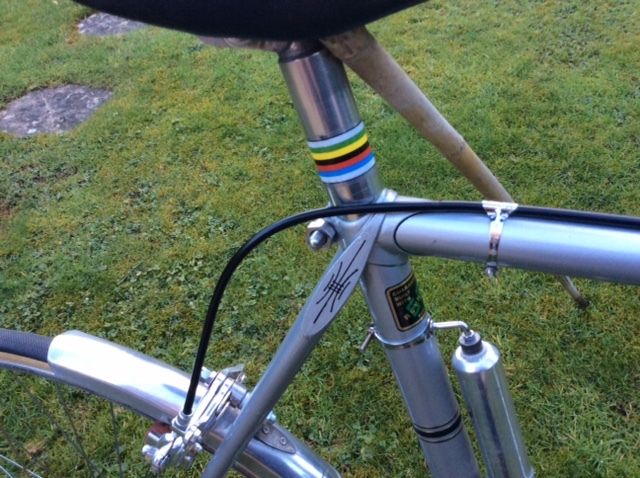 This is typical of the period to give choice of clip-ons or bar end shifters. The BB oiler is a surprise to see as late as 1965 but Major may only have had a limited supply of BB shells to cater with the frame angle or it was simply requested. We just do not know. 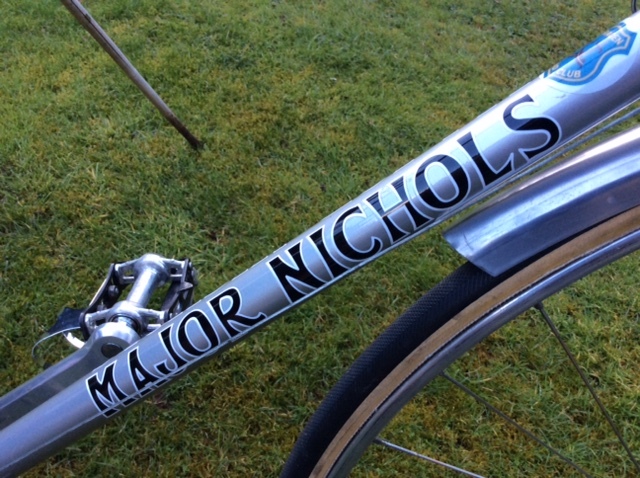 At this time many riders had only one bike and Major is renowned for mudguard eyes wanted or not and there is no light boss. 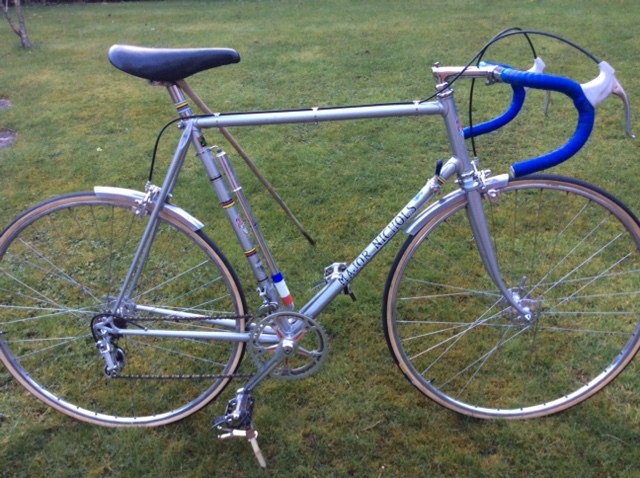 It was almost certainly intended as a road racer and long distance time trial machine. 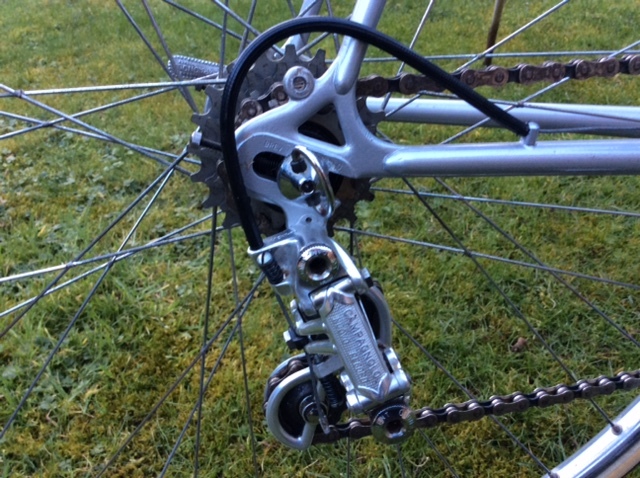 The reinforced seat stay bridge and the chainstay bridge are curved. This is a signature feature of his better frames. The frame would certainly qualify for the generic Major Nichols ‘Record’ title. The refinish is by Argos, recognised as being of top quality. The Beacon Roads club transfer relates to the present owner’s membership. 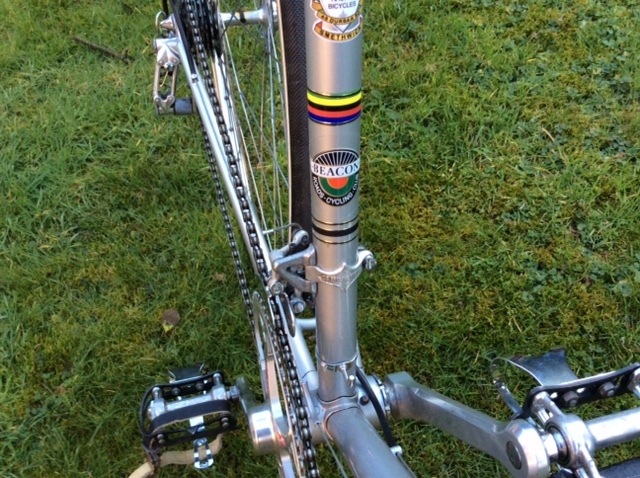 The finely done topeye decorations on the wrapover seatstays are not ones normally associated with Major. 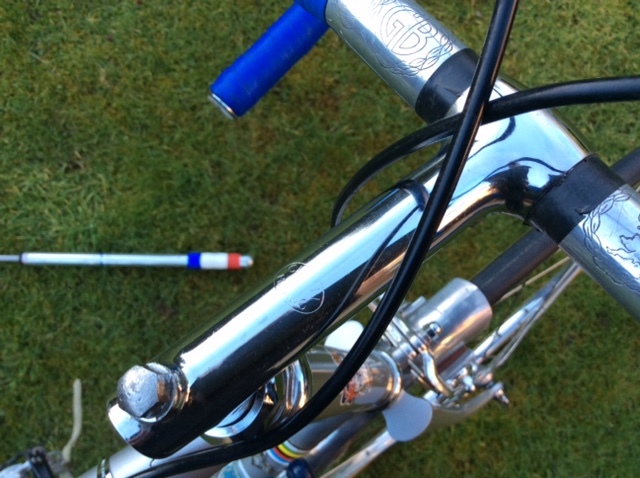 The head and seat tube transfers are Durban Road which may indicate the frame had previously been refinished and the fact that it is a Reform Street machine simply not known at the time. The equipment is top quality and appropriate.